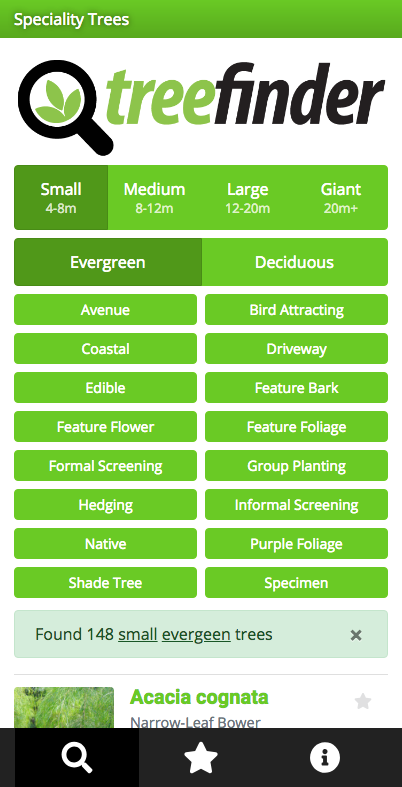 As our website holds a great deal of information, this overview will help you search for a tree, classify it according to your project and save it for later use. 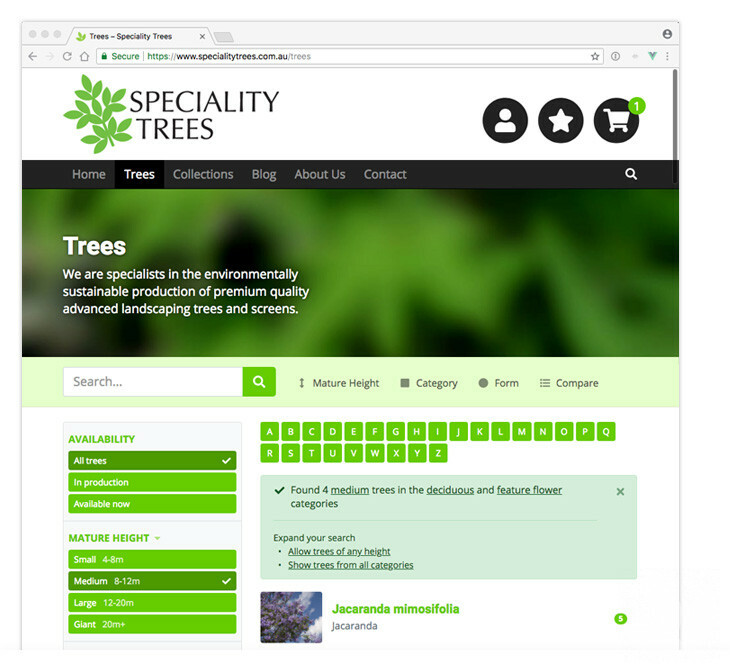 A key feature of our website is your ability to search for a tree, classify it according to your project and save it for later use. There are a number of ways to search for a tree. On the Home page, you can type in its common name or botanical name into the search field. 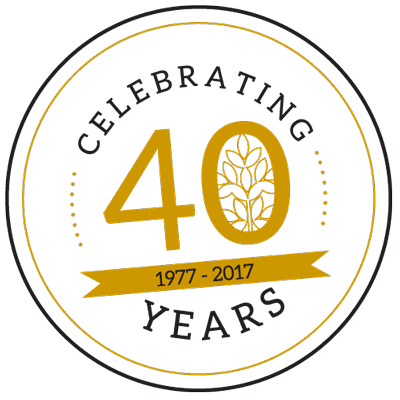 If we grow it now or have grown it in the past, our database will prompt you with suggestions around that keyword. Here you can search by the first letter of the genus it belongs to e.g. M for Magnolia. If you are looking for a tree for a particular use, or with a particular habit, shape or form, you can also browse our green-buttoned ready-made collections. The ability to search by a number of fields is intensified on the Trees page. 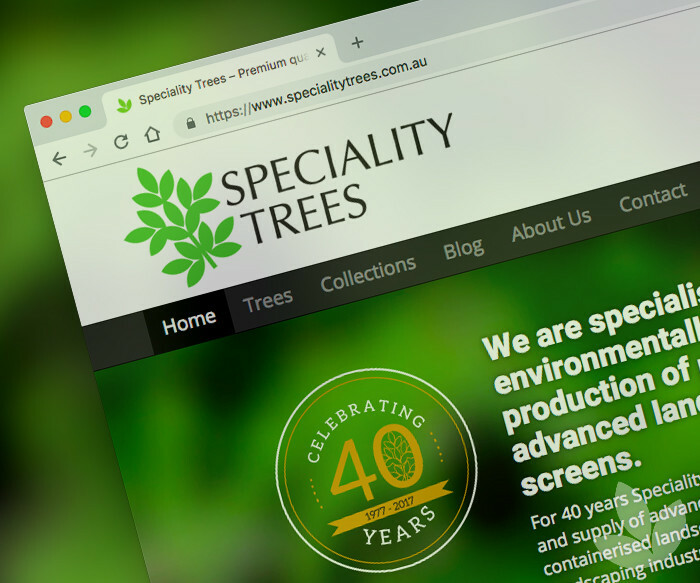 Select desired form and attributes from a list on the left-hand side of the page to locate a list of suitable trees to consider. Now once you have found that perfect tree for your next project you have a number of ways of saving that selection. From the individual tree page (the tree that you are keen on) you are provided with a number of saving options. You can add to cart, save as a favourite selection, or create your own collection. The star situated to the right of the name of the tree is a shortcut to saving into your list of favourites. View all your lists and personal collections from Your Account window via the person icon at the top right-hand corner of the screen. Register an email account with us and features open up to you! Email lists to others, subscribe to our newsletter for monthly tips and suggestions and request a quote for the trees listed in your cart.